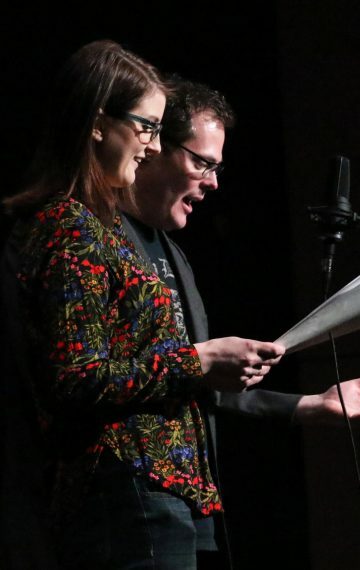 The Great Northern Radio Show celebrated a springtime homecoming to the city of Bemidji, Minnesota, on March 4, 2017, as we broadcast live from the historic Chief Theater. The show’s themes wandered between seasonal observations of life in Bemidji to the way words shape our world. Host Aaron Brown told stories about springtime, mud and more mud in Northern Minnesota. We meet a late season snowman who makes terrible lifestyle decisions. We see the inner-workings of Paul’s Bunion Family Podiatry clinic while later joining a group of young campers at a Greek Language Village taught by a food truck driver named Stavros. Meanwhile, a fat bike rider takes his bike’s prescribed adjective a little too personally. 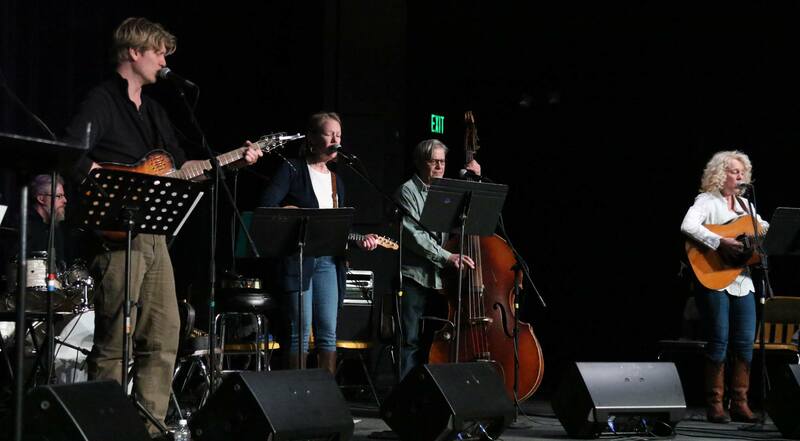 The show features the music of Known Only Locally, a country folk band that has worked out of the Bemidji area for 40 years. We also talk to band member Kristi Miller about the local Bemdiji music scene. Our house band, Babe and the Pauls, led by Katie Houg tackles several fun numbers, and we feature a duet by Paul Bunyan and Babe the Blue Ox set to Sonny and Cher’s “I Got You Babe.” Some kids from Concordia Language Village gave us an Italian audio treat as well. We talk to Anna Carlson about sustainability measures in Bemidji. We also meet Jennifer Speir-Hearn of Concordia Language Villages for a discussion about the power of learning language. The Great Northern Radio Players for this show included Jason Scorich, Louisa Scorich, Brett Carter, C.J. Anderson and Lauren Nickisch on sound effects. This March 4, 2017 program aired live on 91.7 FM KAXE Grand Rapids, Aitkin and the Iron Range, 90.5 KBXE Bagley and Bemidji, 89.9 Brainerd and 103.9 in Ely, as well as locally on 103.3 KUMD in Duluth. The show is also rebroadcast on independent public radio stations throughout Minnesota and distributed as a live stream and podcast. NOTE: We experienced unforeseen audio problems during parts of the live broadcast making it impossible to re-air certain segments due to distortion. What you hear in this podcast is a re-ordered 80-minute special program instead of our usual two one-hour episodes. We are sorry you won’t get to hear some of the marvelous performances lost to this technical problem, which will be corrected in future. Known Only Locally: "A Real Fine Boy"
Paul Bunyan and Babe the Blue Ox sing "My Ox Blue Babe"
Babe and the Pauls: "Love"
Known Only Locally "All For Naught"
Babe and the Pauls: "April She Will Come"
Known Only Locally "Sin City"
Babe and the Paul's: "Leatherwing Bat"
Known Only Locally: "Rocking Chair"
Known Only Locally: "Winnebago Love"
Babe and the Pauls: "For What it's Worth"